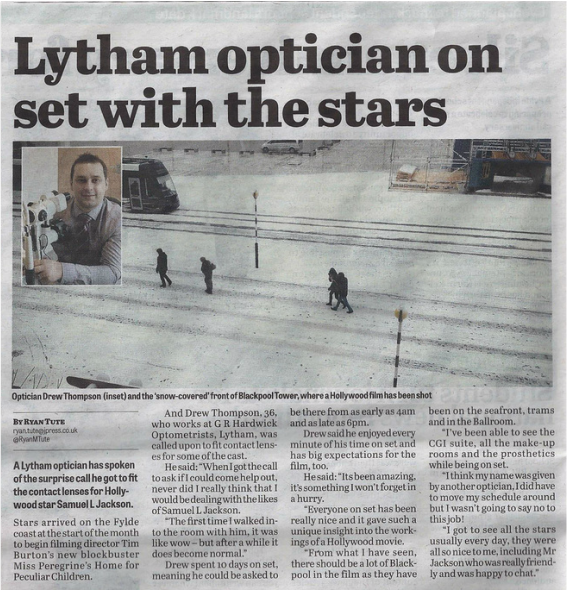 26/5/15 - Optometrist is Contact Lens fitter to the Stars! On top of the filming, Drew also recently gained his Fellowship of the British Contact Lens Association. The aim of the BCLA Fellowship scheme is to recognise a member’s esteem in the field of contact lenses and the anterior eye. It allows them to use the affix FBCLA, which shows their commitment to the Association and any significant contribution they may have made to field. Since the scheme was launched in 2006, a total of 200 professionals from the international community of contact lens industry and practice have become BCLA Fellows following viva voce assessment at the BCLA Clinical Conference. The BCLA Academic Committee, chaired by Professor James Wolffsohn judges each application on an individual basis. A group of staff from G R Hardwick (Optometrist) met with guide dog owners and fundraisers for a "friendly" couple of games of 10-pin bowling at 1st Bowl, Market Street in Blackpool. A great time was had by all and plenty was raised for the Guide Dogs appeal over the course of the evening with collections and raffles taking place. Hopefully we will reconvene for the rematch in the not too distant future! Congratulations to our optometrist Kate who won the prize for the highest total of the evening and also and to the team that included Julia, Sharon, Jo & John for the highest team total of the evening! Now available at both practices, these unique models, totally made in Italy, in which the designer Valerio Cometti combines the naturalness of the wood with the energy of the color, harmoniously marrying ethics and aesthetics. Our wood is of the highest quality, rigorously FSC certified. Top comfort and wearability, lightness of the frame (21 grams only), use of the best small items, total tailoring, innovative lens insertion procedures are the amazing result of an important work of research and development. Silhouette’s Titan ONE is made from a piece of special high-tech titanium alloy around 50 centimetres long. The precise manufacturing process combined with the inherent material properties deliver a product that is minimal and functional whilst also flexible, sturdy and comfortable to wear. Titan ONE, will initially be available in a Limited Signature Collection of 4,000, in four models in four colours. Each frame-piece weighs just 3.24 grams. Titan ONE features a design whereby the lenses are attached at only one point with no screws and no hinges. Dispensing Optician Julia & Clinical Assistant Lorraine spent a long weekend in Rome with other Rodenstock Club members along with Niels Jensen (Rodenstock UK MD) & Ian Harrison (Lens Business Manager). As well as taking in the sites of this historic and beautiful city, there was opportunity to discuss UK optics and swap ideas amongst the group on how we can best improve our services to our patients. Gary, Phil and Julia spent the weekend at the Excel Arena, London looking for new and innovative products and equipment to bring to the Fylde Coast and they weren't disappointed! Keep an eye out on the website and social media for details of these exciting product launches over the next few months. 100% Optical is the largest audited trade event for eye care professionals in the UK. Launched in February 2014, the first event was a huge success, attracting over 5,000 professionals, featuring 200 exhibitors and amassing over 90 hours of educational seminars. These seminars attracted international star speakers from afar afield as Australia, South Africa and Israel. Rodenstock has launched the DNEye scanner for precision eye measurement capture. The scanner uses high resolution wavefront analysis with brightness-dependent pupillometrics, includes corneal topography and autorefractometer functions and is now available at the Cleveleys practice. When we look at something up close, the pupil constricts. As a rule, the larger the pupil, the stronger the influence of the higher order aberrations on the vision quality. These deviations are registered by the DNEye scanner and are used by Rodenstock for lens optimisation. With DNEye, Rodenstock has developed an analytical calculation method for lower and higher order aberrations. These measurements contain vital additional information about your visual system and Rodenstock then uses all these parameters to calculate the ideal lens. Gary, Karen, Phil and Julia spent the day in London at the Club awards hoping for a result in this years awards. Good as we are, no joy this time but still a wonderful achievement to make the top 10 in one category! More than 250 Rodenstock Club members attended the lunch and awards ceremony at the Rosewood London Hotel in High Holborn, where practices from across the UK competed in a number of product specific categories, as well as marketing. Rodenstock named BBR Optometry as the leading Centre of Excellence, at its prestigious annual awards ceremony. 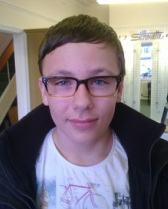 Protect children eyes with Bollé sport glasses technologies. Bollé introduces a comprehensive collection of protective eyewear products, combining the highest technical features in accordance with the most stringent impact resistance standards in the world. All Sport Protective frames are constructed with a recently developed grade of polycarbonate, delivering flexibility for comfort combined with a very high level of impact resistance. Quality eyewear from a collaboration between Mercedes-Benz & Rodenstock are just one of the new frame collections just in at our Lytham practice. These beautifully crafted frames are available now and prices start from just £190. The inspiration for the latest generation of sunglasses and correction frames come from the Mercedes-Benz's design philosophy. The focus of this is sensual purity as an expression of modern luxury. Clear forms, exciting proportions and conscious accents give the Mercedes-Benz Style products their distinct, unmistakable design. All the products feature outstanding quality, superb materials and perfect workmanship. To mark it's 50th anniversary, the UK arm of Silhouette held a drinks reception at the residence of the Austrian ambassador Dr Emil Brix. The UK managing director welcomed Silhouette staff and a select number of opticians to the event (including Phil Sherlock, our Cleveleys Dispensing Optician!) at which guests were served Austrian wine & canapes. "In 1964 Arnold & Anneliese Schmied had a vision to create the most beautiful eyewear available with the highest quality and aesthetics as standard. This vision was then extended by Arnold & Klaus Schmied who have taken this wonderful company to where we stand today. Now it's the turn of Thomas Windischbauer and Daniel Rogger to lead us all forward for the next 50 years." said David Chalmers. With Impression FreeSign® 3, Rodenstock has developed a progressive lens that is perfectly matched to your lifestyle. Look forward to a free and unique vision experience like never before with the best Rodenstock progressive spectacles of all times. Impression FreeSign® 3 can be individually adapted to your lifestyle, or you can choose between Impression FreeSign® 3 Active, Impression FreeSign® Allround or Impression FreeSign® Expert as the progressive lens that matches your lifestyle the best. In just a bit over 3 weeks the practice has been completely transformed by the amazing team at Barnes Design. The new practice looks and feels amazing so feel free to call in and have a look around!! The "rocco by Rodenstock" frame made its way over the shop counter over four million times before it disappeared in the 1990s. rocco was revived in January 2014 as a brand new collection with 32 models. Captivating, stylish spectacles made of innovative materials and progressive shapes, which appeal to the trendsetters. The original rocco design was adapted to the here and now, and the retro style is seen in the entire collection. The frames, characterised by shiny or matt finishes, mirrored sun lens coatings and prominent lens shapes, make rocco into something very exceptional. The yellow rocco circle is the typical distinctive mark and gives each pair of spectacles an individual dab of colour. rocco is now available at both the Cleveleys & Lytham practices. Three months after officially announcing the collaboration, Claudia Schiffer and Rodenstock present their very first collection “Claudia Schiffer by Rodenstock”. Creative Director Claudia takes her inspiration from the sixties and seventies with the designs of the collection reflecting Claudia´s understated and modern yet timeless style, as well as her love of vintage. The collection encompasses eight sunglasses and nine optical styles each in four varying colours. They reflect vintage shapes with a modern colours, ranging from shades of transparent colour such as rose pink to elegant tortoiseshell, classic black, burgundy and dark green. The Claudia Schiffer eyewear collection including sunglasses, is now available to view at Cleveleys. Following the successful introduction of the William Morris Eyewear collection at the Cleveleys practice, we are pleased to announce their arrival in Lytham! Both practices have now taken delivery of new styles which were launched last week! William Morris Black label is a new collection which takes it's inspiration from the 60's, and who's designs echo from classic movies. The common denominator of the collection is clear cut, rich acetate colours combined with precious brass/silver tip ends that beautifully highlight the William Morris monogram. Adding distinctive hinge details and including unique color options, the collection is both head-turning and stylish. Feel free to call in, have a look and try on these fabulous new designs. Four new fantastic modern and stylish frames have been added to our "Lazer" collection. They are available in 2 sizes and 3 vibrant colours and, for under 16's or under 19's still in full time education, are available FREE with an NHS voucher. Call in to see these exciting new models!! 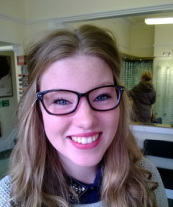 Well done to everyone who entered our fantastic William Morris Eyewear competition!! 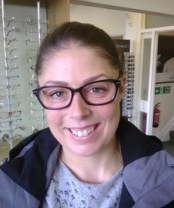 The 3 winners all get the frame they chose made up with lenses free of charge with our compliments and Lorna & Beth will have either a free treatment by 5th Avenue Beauty or a restyle by Leroy Mark Hairdressers. Congratulations to them both! Serengeti® sunglasses offer the absolute best in lens technology and feature unparalleled attention to detail. Serengeti Photochromic lenses work by adjusting to changing light conditions so your eyes do not have to. While blocking out harmful UVA and UVB rays Serengeti lenses darken in bright sunlight and lighten in low light / overcast conditions delivering the ultimate in protection and visual acuity. Bollé delivers the highest quality sunglasses and goggles for performance and protection. At Bollé we are constantly refining our trademark combination of fit, fashion, and comfort, resulting in some of the freshest and most technologically advanced eyewear in the industry. Bollé has developed particular strength in the sports specialty markets of snow sports, golf, tennis, and marine.